My hatred of polyester has been a long time coming, and it’s only recently have I been able to commit to vanquishing it from my life entirely. It started out innocently enough — a dress from Jacob felt incredibly hot and uncomfortable whenever I wore it in the summer. What’s it made of? 100% polyester. I wishfully believed it was just that dress, but as soon as I started paying attention to how my clothes felt more than how they looked, I noticed a pattern. Wearing polyester feels about the same as going about your day in a plastic bag. It’s uncomfortable and hot, and to add insult to injury, holds odors. If you dare sweat in a polyester piece, it’s essentially ruined. Likewise perfume, deoderant, and any other kind of smell (cigarette smoke, pets) will become embedded in the fabric. There’s no delightful clean scent post laundry, this fabric wears all the smells of its lifetime in the threads. Now whenever I see an adorable dress with a 100%-polyester tag my first thoughts are: “I would be miserable wearing that on any summer day” — because I would! I’ve been tricked once or twice. A soft, slinky shirt from Aritzia that I thought was silk was actually just a really fine polyester blend. 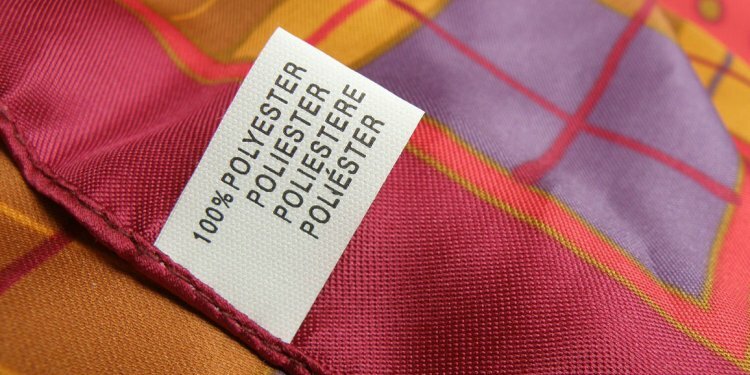 Polyester is tricky like that: it makes you think it’s something it’s not, something you want to put on your body. Resist or pay the price of misery later! What on ModCloth is made of Polyester? Nearly everything. But this is also true of most other clothing retailers. Polyester is a mass market favorite because it’s cheap, easy and relatively durable — so long as the wearer isn’t standing next to any open flame or anything. Cotton, on the other hand, is this marvelous sort of thing that keeps you cool in the heat and warm in the cold. It washes clean after every wear and emerges smelling like your laundry soap instead of your hairspray. Wool is another one of my faves, but some people are allergic so it’s not always an option. By avoiding polyester, you can curb wasting money on clothes. I say wasting because buying clothing that’s uncomfortable to wear is a waste of money. I know avoiding this one fabric has seriously curbed my daily ModCloth habit.